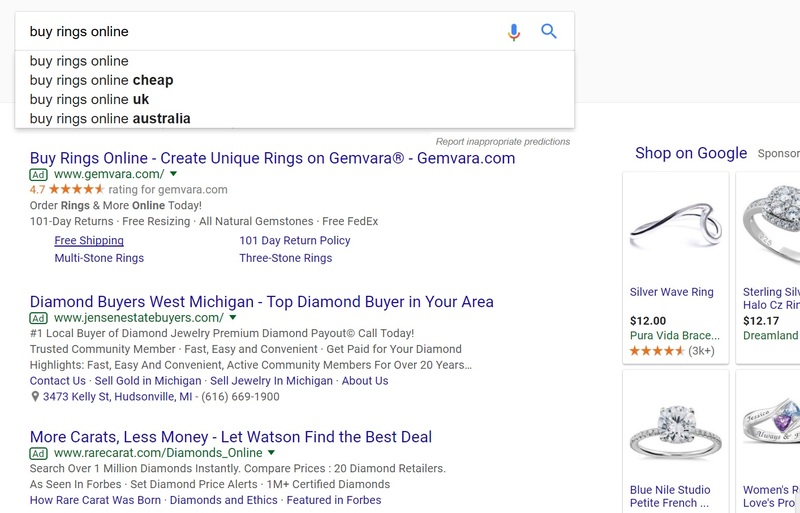 Search Marketing | SEM | Digital Marketing in Grand Rapids MI | Expert Adwords management for ecommerce & web businesses. Expanded Text Ads from Google and Bing should have been implemented in everyone’s campaign for about a year now. It seems like a good time to review some of my findings and the implications. A quick review- after 15 or so years, google decided to add additional characters to their adwords that you see. You will usually see these in the first and second position. Sometimes all of the positions have them. It depends on the device. Here you can see the top position is maintained by Gemvara, followed by jensen’s then rarecarat.com. Let’s take a look at Gemvara’s ad. The Expanded line of text is the line “Create Unique Rings on Gemvara.” A year ago, that space would not have been there. Interestingly, people have gotten so used to the format from years’ past that often it turns out that the best strategy is to drastically shorten your ad so that it appears to be the same length as before. Note the length of the text of Gemvara vs jensenestatebuyers.com. Gemvara’s ad is short and sweet. I would imagine it converts better and has a higher CTR than jensens. All of these ads are much shorter than jensen’s and I suspect they are the results of more rigorous testing. 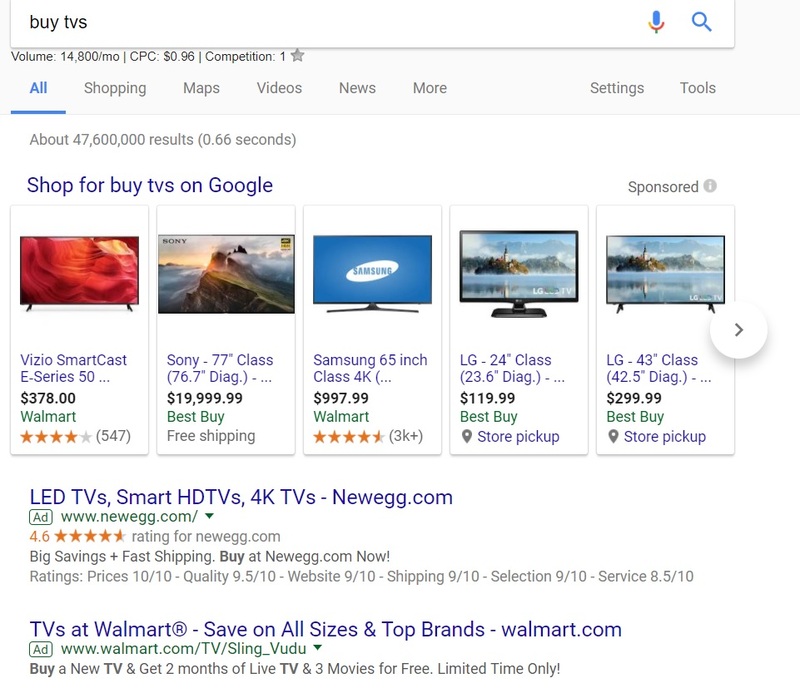 One other interesting thing I have noticed in the past year is that you must get rid of old ads that are not in the current format or Google will punish your Quality Score. I don’t know if they have outright said this is the case, but in my experience it is true. Regardless of how well that old ad converts, you have to convert it to the new format or get punished by Google! Overall I thought the transition was rough at first but things have stabilized after implementing these lessons. 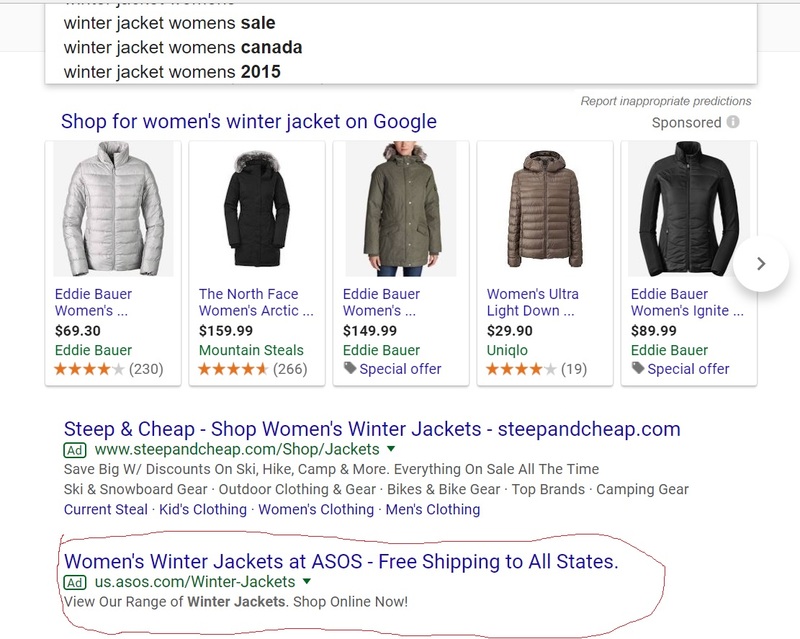 Since the short ads seem to convert better it remains to be seen why Google thought we needed these extra characters now, but maybe they didn’t test enough. Or maybe some industries convert differently. Enjoy. Here is a different type of Google search tool that combines business insights with search data. It is geared toward stock investors but there is probably insight for us too. It shows how different verticals trend relative to the S&P500. What verticals do you think would correspond closest to search traffic? Here is an interesting graph using Google’s financial tools and search query results. The blue line shows searches for phrases like “financial planning advisers”, “fidelity” “smith barney”. The red line shows the trend line of the S&P 500. Note how clearly they correspond to each other! As the S&P500 does well fewer people look for a financial planner. This seems to be the most closely corresponding vertical. * But negatively.Why? Imagine a middle class person has a little extra cash and wants to invest it. If the S&P500 is doing well, they can just buy a couple companies they recognize and watch their worth increase. In more difficult financial times people start to look for financial help. I would guess the correlation coefficient is -.8: Strong negative correlation. If I had to guess a correlation coefficient for luxury it would probably be .35. Small correlation but nothing I’d bet the house on. So what has the best correlation? It’s Automotive! I would guess the correlation coefficient as .55: Medium positive correlation. *Google doesn’t mention which search terms it uses to define a vertical. It just gives examples. I’ll assume they put a little thought into this. It also does not mention every vertical. For example, I don’t see aerospace. Also, google does not provide exact numbers so we can’t find true correlation we can only use “eye-ball analysis”. I think that is fine. ** One other thing to note that while I implied a cause and effect relationship—or a causal relationship of some sort—I think it is stock prices that are doing the causing not vice versa. I have made this assumption in all commentary. Updating destination urls to final urls in adwords could have been smoother. Here is the process if you are still having problems. If you don’t need advanced tagging do it through the web interface-not the editor. See instructions below.